On Wednesday, 26th September 2018, St Hild's celebrated the European Day of Languages. The day began with an assembly led by the International Co-ordinator who gave a presentation about Europe, the European Day of Languages and the importance of language learning. 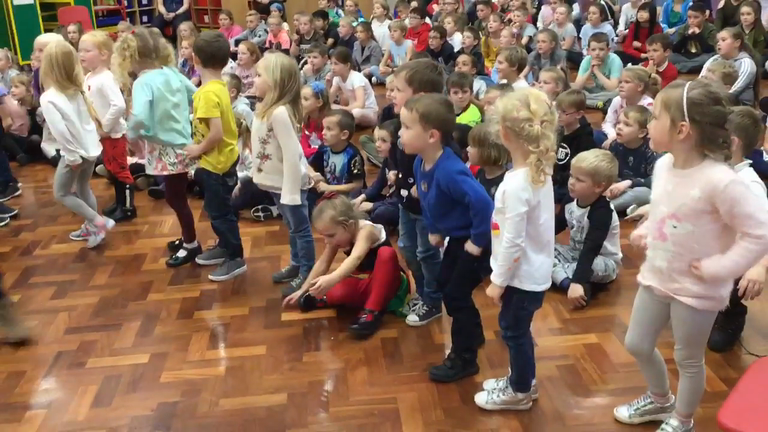 The whole school then joined in telling the story of The Enormous Turnip in French. Each Key Stage chose a different European country to learn about and the children came to school dressed in the colours of their country's flag. Nursery and Reception chose France, Year 1 and Year 2 chose Poland, Year 3 and Year 4 chose Spain and Year 5 and Year 6 chose Germany. First, the children looked at maps to find their country, identifying the capital city, main rivers and mountains and the countries around it. They talked about how to get there from Durham. Then, they went on to learn how to say some simple greetings and count to ten in the country's language, also learning a simple song in the new language. Later, the children all made flags and took part in a food tasting activity which they really enjoyed, trying different foods from their country. 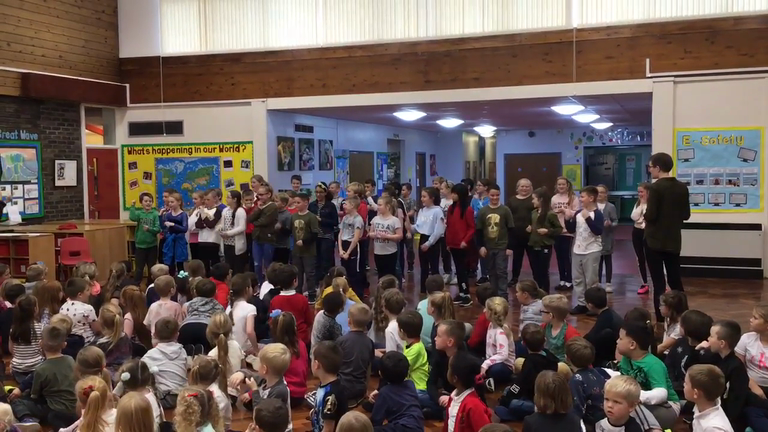 Finally, the whole school came together to perform the songs they had learnt in the different languages. Well done everyone for your contribution to the European Day of Languages. It was a fantastic day! On Wednesday, 26th September 2018, we celebrated the European Day of Languages. This was a great success as we all improved our understanding of different cultures and languages whilst having good fun! Each Key Stage studied a different European country and learnt a song in a different language. These were then performed for the whole school to watch and enjoy. 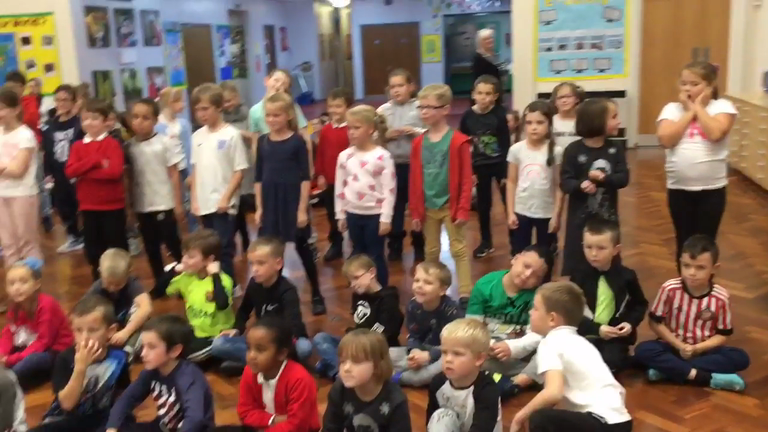 Take a look at our fabulous singing in the videos below. In Nursery, we showed the children a powerpoint to help them learn about China and how Chinese people celebrate Chinese New Year. The children in Year 4 have been corresponding with our partner school in France, ecole primaire Jules Ferry in Chappes. They have written and sent 'Nice to Meet You' cards in each other's language, and Christmas cards. The children loved receiving the cards from their new friends in France and finding out what lessons they do at school and their hobbies. This year, we are delighted to have formed a link with a school in Tanzania, JM Kikwete Primary School in the Manyara region, Simanjiro District. The school has 511 children (261 boys and 250 girls) aged between 3 and 14, and 13 teachers - 11 female and 2 male. 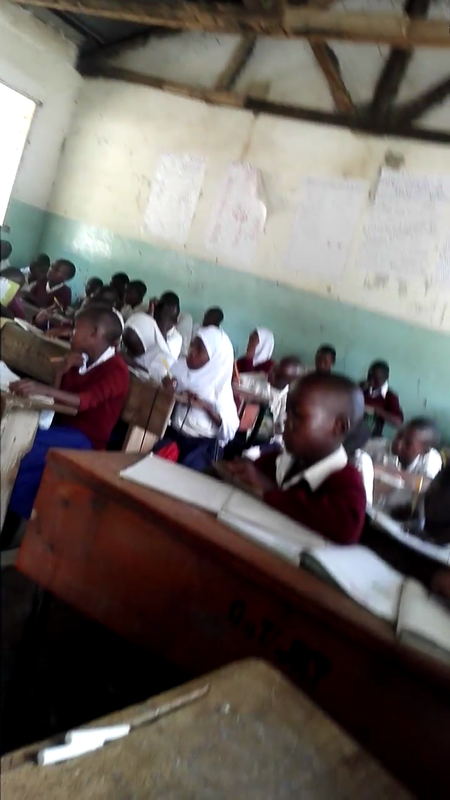 We keep in regular contact with Max, the Head Teacher, by e-mail, and he has sent us these photos and videos to show our children so they can see what school is like in Tanzania and compare it to our school. The children are really enjoying learning about Tanzania and the lives of the children there. Class VI children doing their science exercise. Children are at the assembly area. In March, there was a focused week on sustainability called Climate Week. During this week, the pupils in each class focused on a different goal from the Global Goals. The Global Goals were created by world leaders to aim for a better and fairer world by working to end extreme poverty, fight inequality and injustice and fix climate change. To realise these Goals, everyone needs to take part and that's certainly what St Hild's Primary School did! On Wednesday, we had an assembly about sustainability. Each class was asked to think of ways in which we could be more sustainable at school. The children came up with lots of fantastic ideas and these were discussed at our school council meeting. The School Councillors agreed on two targets for everyone to help with: saving energy and reducing paper waste. Each class agreed to appoint light monitors and paper monitors to ensure these targets were met. We felt that these measures would help to address Global Goal 11 - Sustainable Cities and Commuities, and Global Goal 12 - Responsible Consumption and Production. In Nursery, the children focused on Goal 13 'Climate Action'. They listened to the story of the Messy Magpie to find out how litter can harm our world and how we can help by recycling materials. The children learnt of the importance of recycling and its impact. They played a game about recycling on the whiteboard and learnt a song, 'How to Recycle'. Reception focused on Goals 3 and 6: Good Health and Well-Being and Clean Water and Sanitation. They talked about the importance of washing our hands and drinking water to keep us healthy. Years 1 and 2 focused on Goals 2, 3 and 6: Zero Hunger, Good Health and Well-Being and Clean Water and Sanitation. In Year 2, the children learnt about food shortages in the world, especially in Africa. They had a class feast with a difference - some children were lucky enough to be provided with a wide variety of food to eat whilst others just had a small amount of rice and beans. It really helped the children to understand what life is like for some children in the world and made them want to do something about it. They decided to make a Sweet Hamper to raffle, writing to parents and the local MP for donations. The money raised will go to a homeless charity. Years 3 and 4 wrote poems and made posters to explain the effects about plastic in the ocean, linking to Goal 14: Life Below Water. 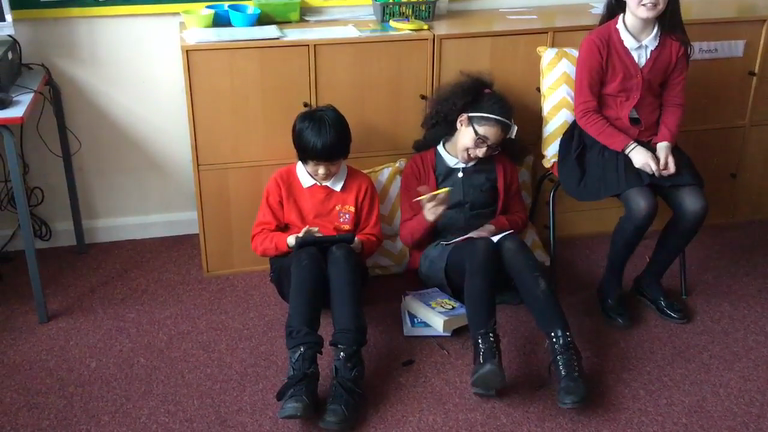 Year 5 did a presentation and drama which they videoed to demonstrate the differences in expectations of Education between countries, linking to Goal 4: Quality Education and Goal 5: Gender Equality. Year 6 focused on Goal 3: Good Health and Well-being. We had a fantastic start to Climate Week on Monday when Jim O'Connor who founded the Dorothy's Wells project, came into school to do a presentation on the project. It was really interesting to hear how the project started with the installation of one well at a school in Tanzania and developed over the years so that they have now built 17 wells. Everyone was moved to hear how the wells have improved the lives of the children there, and to see the photos of the children walking miles to collect dirty water before the wells were built, compared to the clean, fresh water they now have access to when they go to school. St Hild's children really enjoyed seeing the photos of the school and children at our partner school, Kikwete Primary School, which made the partnership seem more real. Finally, Jim talked about the impact that climate change is having in Tanzania. He referred to the ice caps that are melting on Mount Kilimanjaro which is a very serious problem as the water is used for drinking water. In reception we were thinking about our good health and well being and about drinking our refreshing water. Year 1 children have completed 'Health and Well-being' activities in the classroom. Well done! Year 5 children worked in groups to make a presentation about the life of a girl living in Africa compared to our lives, which they videoed. Year 6 discussed fairness, equality and the importance of sustainability. We ended Climate Week on Friday by celebrating Red Nose Day. The children watched a video to learn about the life of Farhad, a boy who lives in a refugee camp in Serbia. 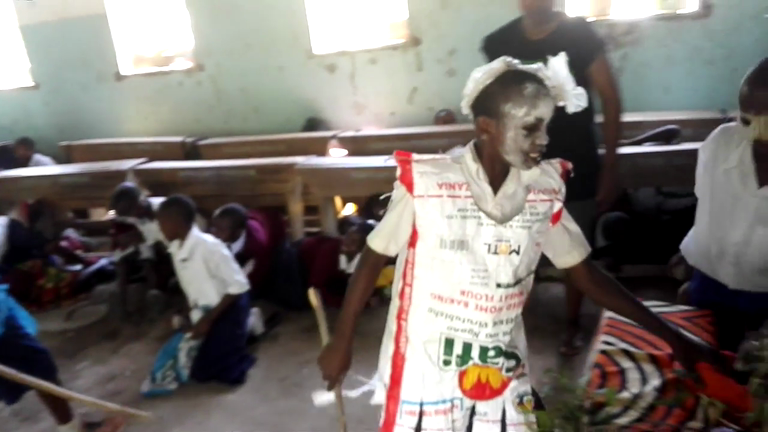 Then they carried out various Comic Relief activities in class. We raised money for Comic Relief by wearing red, having crazy hair and selling cakes. We even had a School Council v Teachers quiz. The children won! 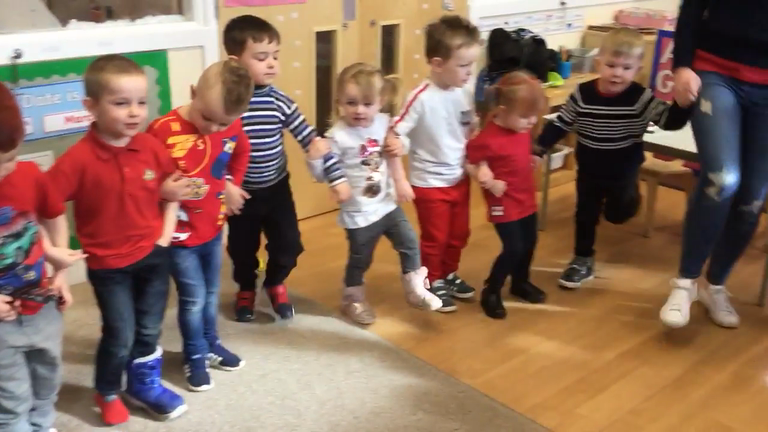 The children in Nursery dressed in red for Comic Relief Day. The children listened really carefully to the story of Lawand, a little boy from Syria. They iced red nose cakes, played 'Stick the Nose on Mr Tumble' and then we practised singing and dancing to the Mr Tumble Comic Relief song. It was a lovely morning.